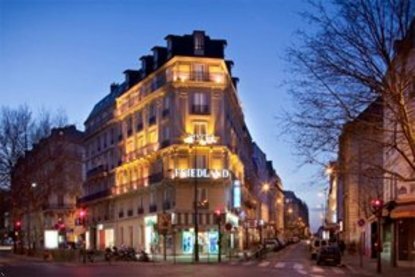 The Best Western Etoile Friedland Champs-Elysees, located near the famous Arc de Triomphe and Champs-Elysees. This charming hotel is fully air-conditioned and offers a full American Buffet Breakfast for a nominal fee, elevator, concierge and car rental desk. All our rooms include Air-Condtion, satellite television, dataports, hairdryer, iron and ironing board, safe deposit box and mini-bar.